Hudson's Bay has a Flash Sale today! Save 50-65% off Fine Jewellery! Spend More, Save More, Up To $50 off Women's and Men's Watches. 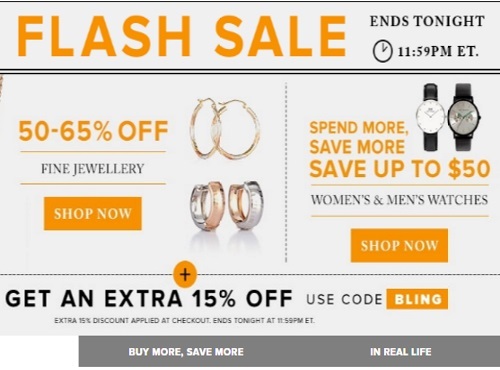 Also, get an extra 15% off with the promo code BLING at checkout. Offers end tonight, Sunday, September 18 2016 at 11:59pm ET.